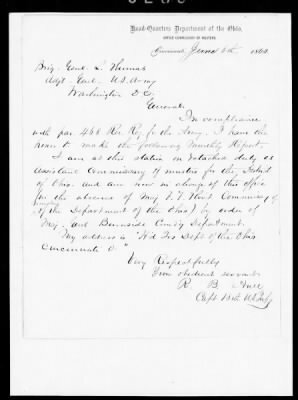 Letters from officers and enlisted men of the Army, the Secretary of War, the president, members of Congress, governors, and others. They are the largest series of letters received by the AG. They relate to appointment, recruitment, transfer, pay, promotion, leave, discharge, and other personnel actions affecting officers and enlisted men of the Army; orders of the War Department; military expeditions and campaigns; military installations and organizations; and Indian affairs.